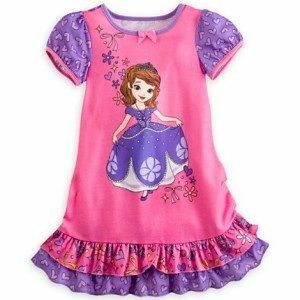 Sofia The First Sale At Disney Store With Prices As Low As $2.95! You are here: Home / Great Deals / Sofia The First Sale At Disney Store With Prices As Low As $2.95! She was all the rage at Christmas time and here is a great sale perfect for adding fun new items to your little girls wardrobe, or stocking up for next holiday season! Sofia The First Sale At Disney Store With Prices As Low As $2.95! Dresses, shirts, nightgowns, swimwear, plush toys, cups, plates, beach towels and more all on sale right now at the Disney Store! Head over today to grab these great deals on this and other character items at the Disney Store!